"Tourists who come to the city of Jodhpur to experience the authentic Rajput hospitality and Rajput lifestyle must decide to stay at Haveli Inn Pal. The striking feature about this elegant hotel is the friendly staff over here. A stay with the Royals of Rajasthan in here is bound to be an unforgettable experience. The magnificent Haveli was constructed using the state expense of Jodhpur to commemorate services of Thakur Umaid Karan Singh Ji who migrated from Gujarat with Maharaja Takhat Singh Ji from Ahmadnagar in the year 1843. Thakur Umaid Karan Singh Ji was also honored with Fiefdom Pal also in the same year. 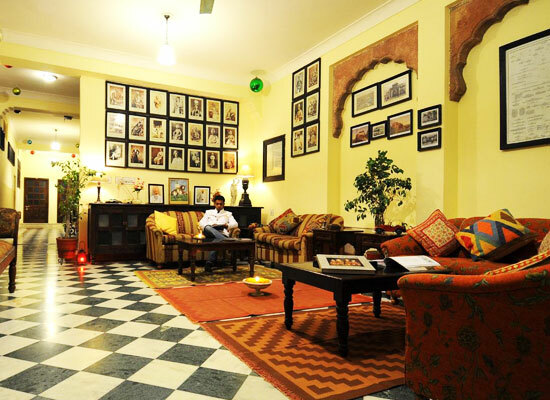 The descendants of Pal Family used the Haveli as their private residence till the year 2000 until it was converted into a popular Heritage hotel in Jodhpur. 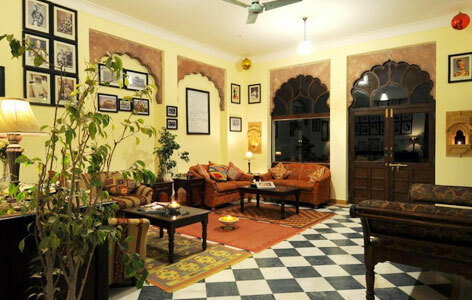 Haveli Inn Pal, a heritage hotel in Rajasthan, India, is known for its spectacular accommodation facilities. The rooms are very well maintained and are very neat and tidy. All the contemporary amenities and requirements of the guests are fulfilled with a stay in these rooms. The Royal family has ensured that the elegant furnishings and architecture of the room justifies the splendor and glory of the days gone by. 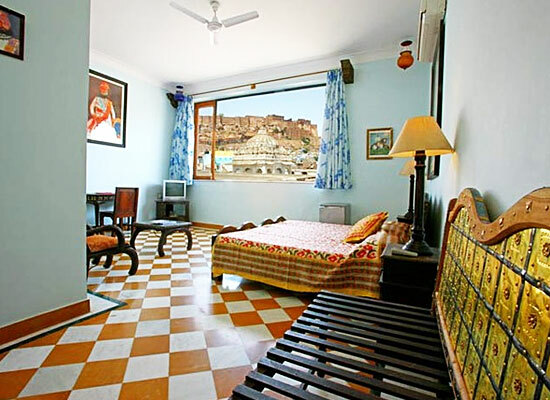 The rooms in this hotel thrill the guests with some of the most magnificent views of Jodhpur. The on-site multi-cuisine restaurant in this heritage hotel serves guest with authentic Rajasthani flavors and dishes. 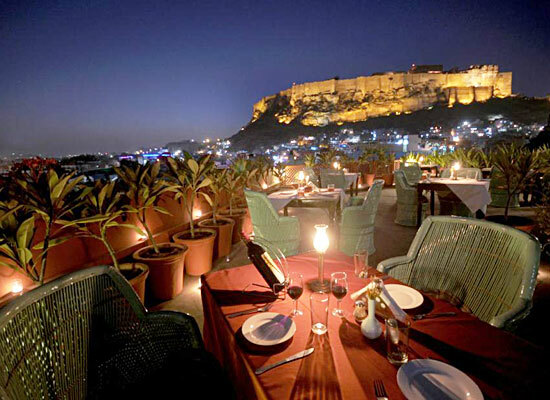 Located on the terrace of the hotel, tourists enjoy amazing views of the spectacular city including magnificent structures like Umaid Bhawan and Mehrangarh Fort. Special feature of this restaurant is the on-request candle light dinners. The state of Jodhpur was established by Rao Jodha in the year 1459, who was the former ruler of Rathore clan. Jodhpur is the second largest city in Rajasthan, only after Jaipur. The city has become a hub for international and local tourists because of the amazing features of the city including majestic palaces, spectacular forts and renowned Havelis. Located amidst the famous Thar Desert of India, the princely city of Jodhpur is a must-visit.